The Art Wall, Jr. Memorial, formerly The Hemlock Championship, gives amateur golfers ages 40 and over, the opportunity to compete against one-another. The Art Wall, Jr. Memorial will be played over 36 holes of stroke play. Players will be re-paired for the second round according to first-round results. There will be three age divisions in the Art Wall, Jr. Memorial, the Super-Senior age division will compete from a different tee. AGE DIVISIONS: Age 40-54 - Age 55-64 - Age 65 and older (ages 40-64 Play from same tees). 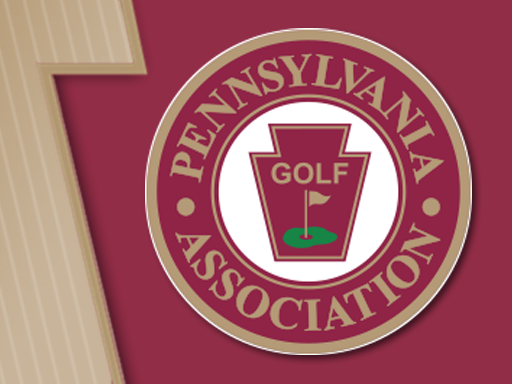 The Art Wall, Jr. Memorial is open to any male amateur golfer, age 40 and older as of Sept. 24, who is a member of a club belonging to the Pennsylvania Golf Association or an individual member of the Pennsylvania Golf Association. The Art Wall, Jr. Memorial is limited to 110 contestants. After guaranteed spots, entries will be accepted based upon first come-first serve basis. All entries must be received by 11:59 p.m. on the entry closing date. Entry fee for the Art Wall, Jr. Memorial is $180, which must accompany the entry. Carts are permitted and MANDATORY at the request of the host club. Cart fee of $30/day will be collected during time of entry. Carts are MANDATORY at the request of the host club. Cart fee of $30/day will be collected during time of entry. The individual with the lowest gross score after 36-holes will be declared the Art Wall, Jr. Memorial Champion. Additional prizes will be awarded to the top 5 from the 40-54 age group, the top 3 from the 55-64 age group, and the Super-Senior Champion. Prizes will also be awarded to the team (team members must be from the same club) that posts the best 2 scores of 3 for the two rounds of the event (Championship & Senior Division Only). In the event of a tie for the Art Wall, Jr. Memorial Championship or Super-Senior Championship, there will be a sudden-death playoff immediately following the conclusion of play Tuesday afternoon. All other ties will be broken by matching scorecards in accordance with USGA guidelines. Practice rounds will be permitted on September 18, 20, 22 and 23 after 1pm. Please call the golf shop at 814-238-0161 to schedule a starting time. Practice round fee: $60 includes cart. Cart required for practice round. Methods of payment are Visa, Mastercard or reciprocal club charge. Lunch is included in entry fee and will be provided for all players on both days of competition. Additional food and beverage purchases will be available in the clubhouse. Players may utilize dining options at the club on Sunday evening with prior reservations required. Preferred method of payment is Credit Card.